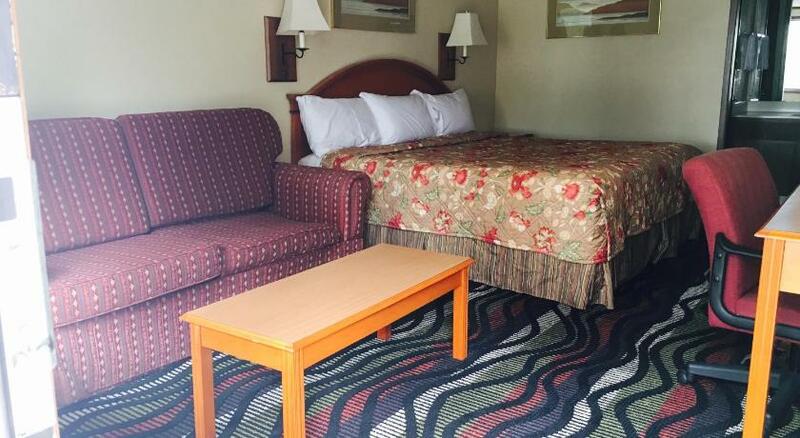 Located only 14 miles from the Prime Outet Mall in Jeffersonville, OH, this motel features free Wi-Fi and a continental breakfast. Deer Creek State Park is a 20-minute drive.Rooms at the Blue Stone Inn are all equipped with a cable TV, microwave, and private entrance. Select rooms offer a seating area with a sofa.The Inn Blue Stone provides guests with 24-hour front desk service, as well as vending machines for snacks and drinks. A parking facility is available. Hopewell Culture National Historical Park is 32 miles away. Washington Country Club is just a 5-minute drive from the motel.